Hello, I was wondering if anybody else wants a version of Cry Of Fear for the Xbox One (microsoft store). An Xbox one version would open more people up to this wonderful game that I love dearly. Sorry for the silence, I've been meaning to get a post going here for a while and I'll be sure to keep everyone up to date here as well. Half-Life turned 20. The Resident Evil series itself changed and evolved with the industry, culminating in some divisive titles and, as of recently, a return to horror form with Resident Evil 7 and the stellar Resident Evil 2: Remake. Time has not been kind to RECB. 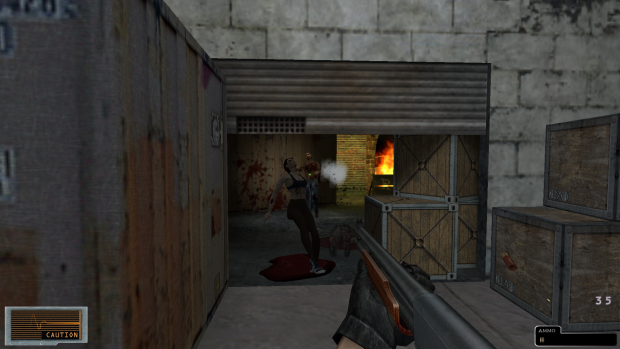 As early as Vista the mod started running into troubles running, further compounded by the Steampipe release of Half-Life. Still, dedicated fans have kept the torch lit for over a decade, hosting scheduled events that help populate servers and keep the spirit of the mod going. Cut to December, 2018. While on holiday break, members of the team met together under the Half-Life Creations discord. Recently, an old backup drive had been discovered holding a wealth of old development assets - including the Beta 2 codebase and work-in-progress versions of the maps in their source format. 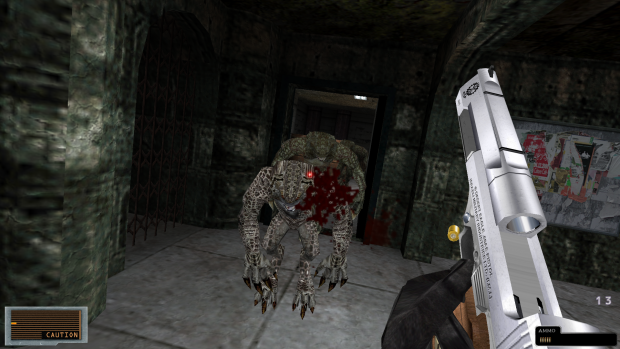 Immediately an effort was mode to move the mod onto the latest Half-Life SDK - allowing it to run without the need for compatibility tweaks and other workarounds. With a stable base, years of tweaks and modifications were rolled into the mod. A new user interface was implemented with support for more health states and easier visibility on HD displays. Ironsights, glitchy and prone to latency issues in their implementation have been removed completely, opting instead for a world-based, customizable laser dot. AI tweaks and enhancements, complete spawn rebalanced for enemies and items - the scope of work needed became apparent quick - and with assistance from our amazing community we have made steady progress. The main hurdle to clear before a public release is updating the existing maps - going back to work in progress maps over ten years old is a good challenge, with a big focus on making sure every level can be completed by a single player. The aforementioned re-balancing of enemy and item spawns has generally equaled out to 'less respawning monsters, more ammo' - with these changes being well received among the testing crew. In the progress of testing, curiosity led us to running the mod under Sven Coop. Originally this was thought of as a nice alternative in case someone didn't have base Half-Life - but the advantages have grown apparent the further along development has proceeded. The engine level entity count boosts have proven helpful in running stubborn maps like the community scenario, thethirteenthbullet and has lead to a generally more stable mod. As always, we'd love to hear community input on this matter. Now, the big question: When? I don't have a good answer - but for those who want to get back into Resident Evil: Cold Blood Right This Very Second, we've got you covered. Beta access can be found on our Discord hosted by Half-Life Creations. You can find more information here on our new forums. This is a huge shoutout and thank you to our dedicated fans, I hope we're able to surprise you all more in the future. I got to chapter 4 (the first half) and i want to start all over, but i have a fuckton of saves. I clicked Delete Saves so many times, but it doesn't work. What should i do? Movies, Music and Art / Re: Worst movies you've seen? Well, there are going to be many but I don’t remember it. All I know about it good movie and good show. Now days, I am watching shows by Andy Yeatman online and it is worth watching. These are very entertaining and educating. Anyways, it was nice coming across this forum.